Believe us – you’ll love how refreshed and polished your smile is after a visit to Forum Dental! Teeth Whitening – Drinking coffee, soda or dark liquids and smoking can cause teeth to become stained. Teeth can be restored to their natural color through whitening. Custom Smile Designs – Do you have broken, misaligned or missing teeth? Our staff will work with you to find the most efficient and cost effective means of perfecting your smile. We can help you achieve the smile of your dreams through dental implants, bridges, crowns and dentures. Seeing a dentist for your first time can be overwhelming or frightening. At Forum Dental, our gental staff treats patients of all ages with personalized service helping put them at ease. We are also happy to offer Nitrous Oxide (laughing gas) to any patient upon request. For parents bringing their children to Forum Dental, we provide additional patient education customized to the age of the children. 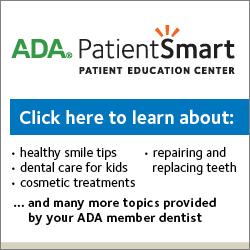 Click here to learn more information about pediatric dental care. At Forum Dental, we offer adult and teen orthodontic treatments as well as orthodontic consultants. Traditional braces normally involve up to three years treatment for major movement. We also offer Invisalign, a clear alternative to braces that can be removed when eating and brushing. The usual treatment time for Invisalign is 9 to 15 months. When dental emergencies occur, they can be stressful and often quite painful. At Forum Dental, we accept emergency patient visits to help alleviate your pain quickly. If at all possible, we provide same-day services to remedy the underlying issue. Give the nearest Forum Dental location a call to schedule your appointment. At Forum Dental, we understand that your time is valuable and do our best to provide same-day services for any additional work necessary. Our offices stay up-to-date with the latest technology, including Cerec machines which allow us to offer same-day crown and bridges. Are you a new patient? We’re excited to meet you and help you join the Forum Dental family! Check out our new patient information page for patient forms, financing options and our new patient specials!